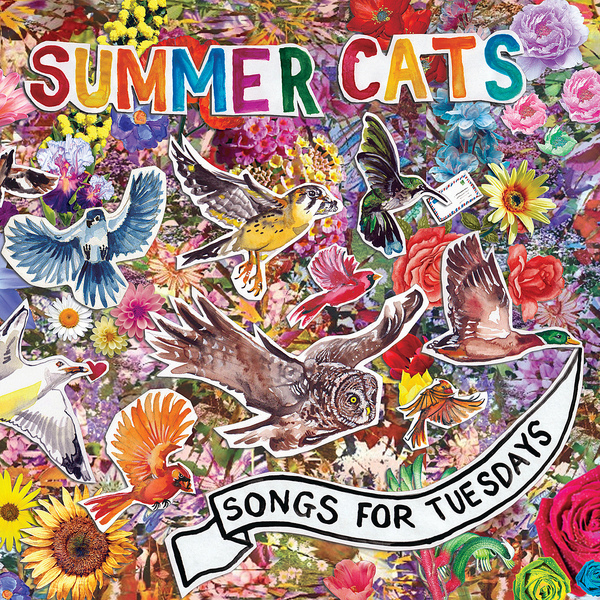 Australian band Summer Cats arrive at Slumberland with their debut album, Songs For Tuesdays, full of excitable, upbeat pop that Slumberland quite reasonably compare to the Go-Betweens - and perhaps there's a suggestion of Pains Of Being Pure Of Heart in there too. Songs like 'Wild Rice' populate the album with two-and-a-half minute doses of joyous indie-rock classicism, full of impeccably mellifluous guitar jangle and swoonsome boy-girl vocals. It's an altogether different side to the band than that shown on early, exclamatory numbers 'Let's Go!' and 'Hey You', whose fuzz-marinated chords take on a sticky garage tone. Most appealing.